So what is Smartbus all about? “It runs on a fixed route. It uses bus stops. People can hop on and off. However, in time you’re going to see us ‘rethink’ how buses and routes operate and how to make them more efficient and useful in cities. We also feel buses haven’t evolved enough. They still roam around cities utilising old systems of operations and inefficient technology. If we’re going to solve urgent problems of congestion and infrastructure, we need buses to improve, to operate smarter. In the era of smartphones we can have responsive buses that react to realtime needs. A USB port under each seat so you can charge your phone (yes!). Tracking software for real-time integration with the app. Bus stop departure boards showing updated arrival times. Smart navigation display so you can see where you are going. Real-time operational control, and much more. 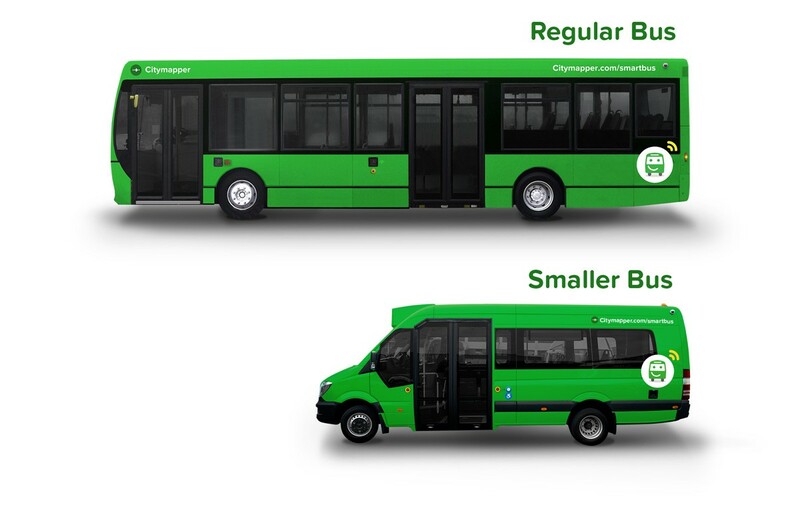 To learn even more about the new Smartbus go to the Citymapper website here.